Outside: 100% natural leather - free of formaldehyde and azo dyes free. Lining: 100% natural leather - free of formaldehyde and azo dyes free. Sole: 5 mm light flat Vibram® Wave. Vibram® are leaders in manufacturing of soles and sole materials. Their highly flexible and elastic product provides a surface contact which stimulates the foot receptors and assures proper and healthy foot development. 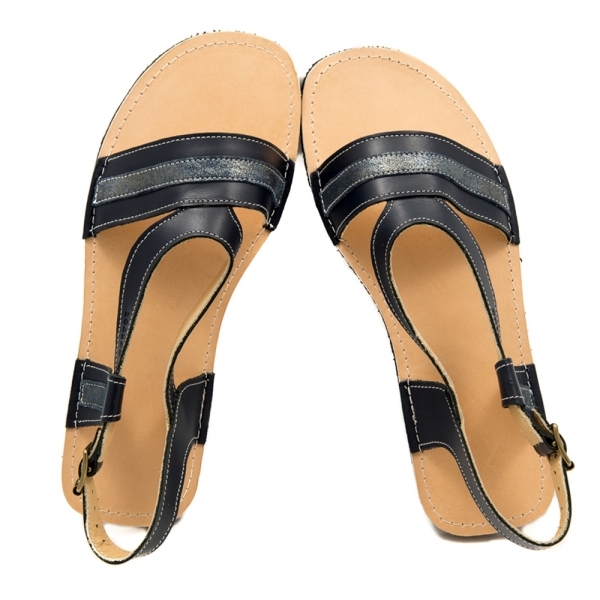 Its softness and elasticity provide a maximal barefoot feeling and the sole acts as a natural shock absorber. The Vibram® rubber has excellent non-slip characteristics. Your baby can wear the shoes with or without socks. Symbol: If you would like another symbol on these shoes, please order from among the options here. Name of your child: If you want to put the name of your child on the shoes, you can do it here. Important: "USABLE INNER LENGTH" described in the table below is equal to the length of the inner sole, shown in the picture below. Column "SHOE WIDTH (TOES)" is for your reference only. Currently, we do not customize the sole width.